Many of us in higher education are funded by taxpayers’ money, and so it is understandable why the research councils have increasingly asked grant applicants to include strategies to disseminate research findings (known as ‘pathways to impact’). Public engagement (PE) activities are also part of the marketing strategies of institutions that seek to promote their academics and raise awareness. And of course, PE is one way to generate impact that featured prominently in the latest REF exercise. All the signs indicate that PE will continue to play a critical role in academic life. These are all very practical reasons, but I would argue that there is a much more personal benefit for PE. The typical professional life of an academic is one of intermittent reinforcement that is often more negative than positive. Papers and grants take ages to write, go through review and, more often than not, be rejected. If we do give a seminar on our research to colleagues then the expectation is that it will be critically evaluated which, after all, is what scientists do. In contrast, giving a public talk can be a delightful, positive experience where the appreciative crowd is genuinely interested in what you have to say and, in general, less critical of the points one might make that one would never consider speculating on in a professional setting. The talks are often given informal settings, such as the backroom of pub, which makes the atmosphere more relaxed for obvious reasons. 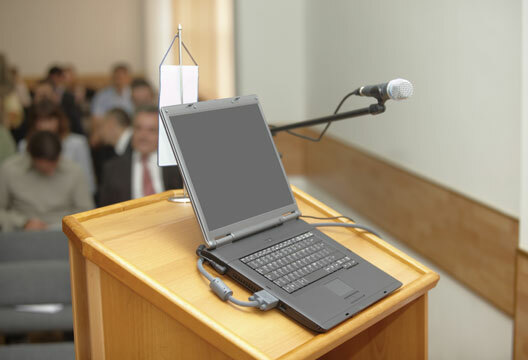 Many voluntary organisations cannot possibly afford professional speaker fees, and yet in my experience many academics would be all too willing to talk about their expertise. With that in mind, I have just launched SpeakEzee.org – a searchable database of voluntary academic speakers that connects experts with audiences. It’s an open-access system that can allow anyone to organise a pop-up lecture so long as they can find a reasonably sized group of fellow enthusiasts and a venue. Pubs are good as most are empty mid-week, but also student societies and village halls can work well. On the website, speakers create a profile page with a brief bio, areas of expertise and a suggested talk for a general audience (they can also provide a professional talk for colleagues trying to organise departmental seminars). If they have a video example, then there is a show-reel section as well. Organisers can search by topic, location and availability. They can then make a request with further information that is either accepted or declined by the speaker. Eventually the system will enable feedback and comments on both speakers and organisations. With 12m adults educated to degree level in the UK, SpeakEzee.org could stimulate the expansion of pop-up lectures for general audiences. Not only would SpeakEzee.org be a positive experience for both speakers and audiences, but speakers will eventually build up reputations for communication that becomes rewarding in terms of professional development and public recognition. And who knows, maybe an invitation to give a prestigious lecture on television.